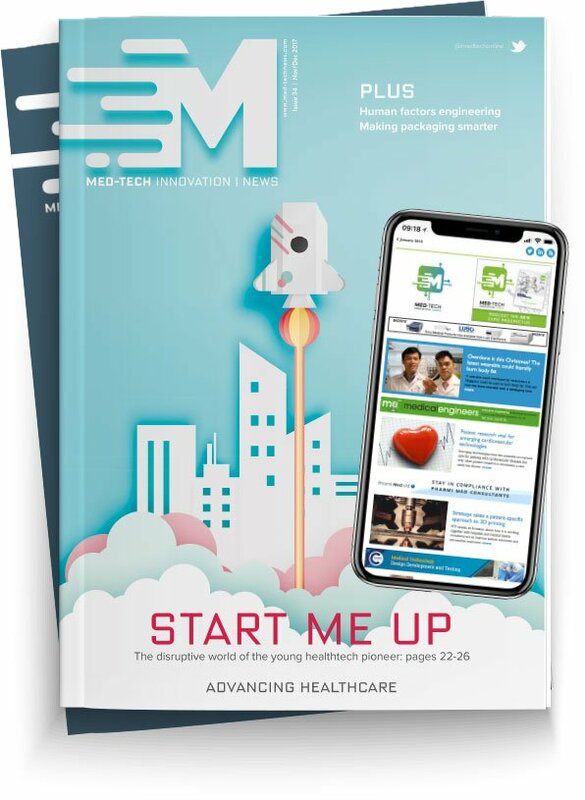 Deepak Prakash, senior director, global marketing, and Neal Carty, global director, research and development and medical and scientific affairs at Vancive Medical Technologies, discuss material selection in an increasingly consumer-centric healthcare market. Amid changing care delivery models, disruptive technologies and healthcare’s consumerisation, medical devices must often do more to help providers achieve positive outcomes and meet tougher standards. Those standards aren’t just the ones set by various governing bodies but by patients — the end consumers of care. Healthcare institutions and their medical device suppliers are responding to consumer expectations when it comes to care protocols and delivery models. After all, why would the same consumer who doesn’t want to be limited by a land telephone line with a spiral cord somehow think it was acceptable to be tethered to a hospital bed by lots of wires and leads? Donning the hat of patient does not mean leaving one’s everyday preferences at the door. These heightened expectations are driving complex new material requirements upstream for applications ranging from medical wearables to ostomy appliances to advanced wound dressings. Amid the whirl of transformation, as traditional healthcare paradigms shift, there can be some inevitable clashing and clanging of seemingly contradictory requirements. For example, how do you pack a wearable device with lots of analytical capabilities, make it comfortable, safe, discreet, painless to remove — and economically viable? This is the type of issue device OEMs and their material suppliers ultimately are challenged to creatively solve. Here’s a quick discussion of some drivers affecting next-generation material innovation. Healthcare institutions, clinicians and insurers are very focussed on outcomes for new medical device applications. To have a fighting chance at adoption, new solutions must meet or beat the clinical results of traditional solutions they are designed to replace. The right material innovation can make a big difference in consistent product performance and quality, from concept to prototype to regulatory review to product launch. With R&D happening around the world, global material innovation may become more influenced by localised requirements. It used to be commonplace for the biocompatibility checklist to focus on ISO 10993 standard tests for cytotoxicity, irritation and sensitivity, which is no small amount of work. But some device developers want to avoid certain ingredients that would typically not be considered problematic under ISO 10993. They may be catering to localised regulations or specific allergen concerns relative to their device application. The healthcare industry, like many other business sectors, continues to strive towards greener, more eco-friendly practices. Because the natural environment is so closely linked to human health, sustainability takes on an even greater significance for many hospitals and medical device companies. Non-profit entities such as the Sustainability Roadmap for Hospitals and Healthcare Without Harm provide guidance on environmentally preferable purchasing (EPP) and other sustainable healthcare practices. Some device developers and healthcare institutions are seeking alternatives to the ethylene oxide (EtO) sterilisation method because of risks for hazardous air pollution and potential employee exposure to carcinogenic substances. Novel methods, such as use of vapourised peracetic acid (VPA), have been approved by different regulatory bodies for some new product applications. As device OEMs explore novel sterilisation methods or sustainable alternatives to various chemicals or ingredients, they need material suppliers to move with agility and skill to support their sustainability objectives. Last but certainly not least, there is cost. At the end of the day, the healthcare marketplace will only adopt innovations for which there is a viable economic model. In areas of relatively uncharted territory, such as new digital health solutions, this usually means that device OEMs must aim for a per-unit price point on par with or less than the price of the legacy solution that is the current standard of care. This can be a tall order for all of the aforementioned reasons. For skin-worn medical applications, the ability to provide long-term wear of devices, such as advanced wound care dressings, diagnostic wearables or drug-delivery patches, makes the economic model more competitive because fewer devices need to be purchased and reimbursed by insurance. Also, healthcare institutions and insurers are seeking ways to deliver care at the most effective and cost-efficient point. This bodes well for material and device innovations that enable preventive healthcare, remote monitoring of chronic conditions, automated drug delivery, medication compliance management and other e-health applications. There can be a powerful business case for solutions easily applied or administered at home or in an outpatient setting, which is much less costly than inpatient care. In conclusion, times of transformation and disruption, the likes of which the healthcare industry is experiencing today, can be challenging. But with creative collaboration, R&D ingenuity and rigorous focus on efficient manufacturability, innovative materials will continue to be building blocks for tomorrow’s most advanced healthcare solutions.